If you’ve ever dined in a sushi or hibachi restaurant, you’ve probably seen bubble tea on the menu. It’s a fun, nonalcoholic novelty beverage, often available in many flavors (most of them quite sweet) and a wide variety of colors. The main attraction, however, are the big tapioca “bubbles” floating in the tea, which can be captured and enjoyed through a wide straw. As much as I enjoy all of the quirkiness of bubble tea, I can’t help but notice that most flavors contain an alarming amount of sugar. I also doubt that the brightly colored bubble tea available in restaurants is even the slightest bit natural. Finally, bubble tea in restaurants can be really expensive – more than twice the cost of a soft drink, and often comparable to an alcohol-based beverage. We can do better. 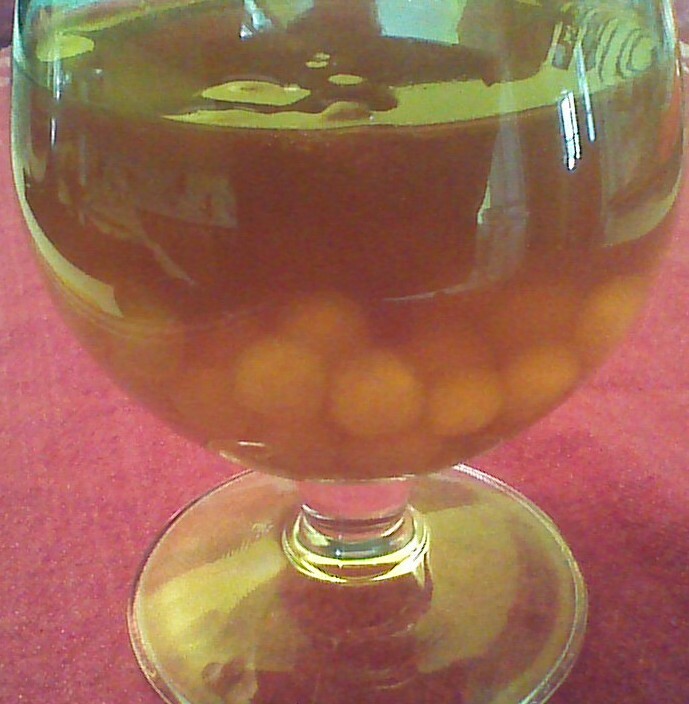 The Crowded Earth Kitchen version of bubble tea combines large tapioca beads and sweetened but naturally colored tea. The result is a lighter bubble tea with fewer artificial ingredients and a much more economical cost. Feel free to use any hot tea that you enjoy. 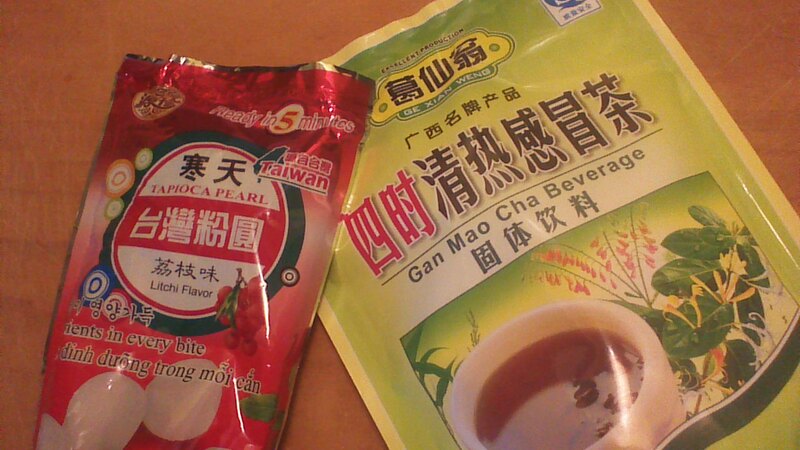 I’m using a Chinese instant tea called Gan Mao Cha, purchased at my local Asian market. Gan Mao Cha contains sugar, honeysuckle, mulberry leaf, peppermint, and licorice root – it’s delicious! Sweetened green tea would be lovely, as well. Bring a small pot of water to a boil. 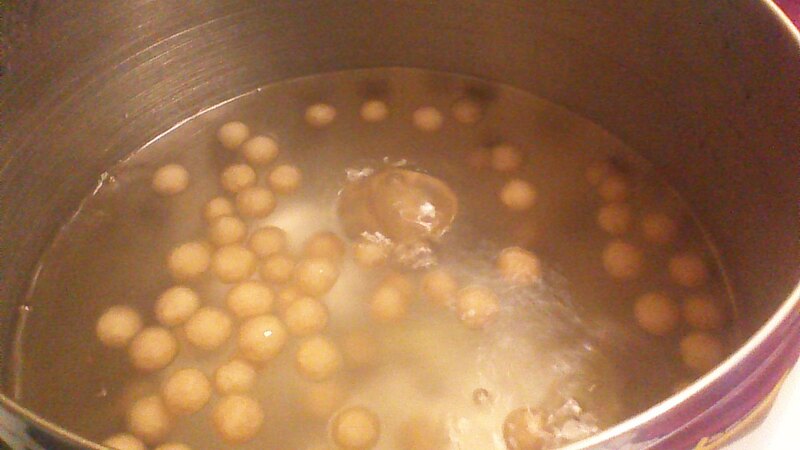 Add large tapioca beads, reduce heat to simmer, and cover the pot. 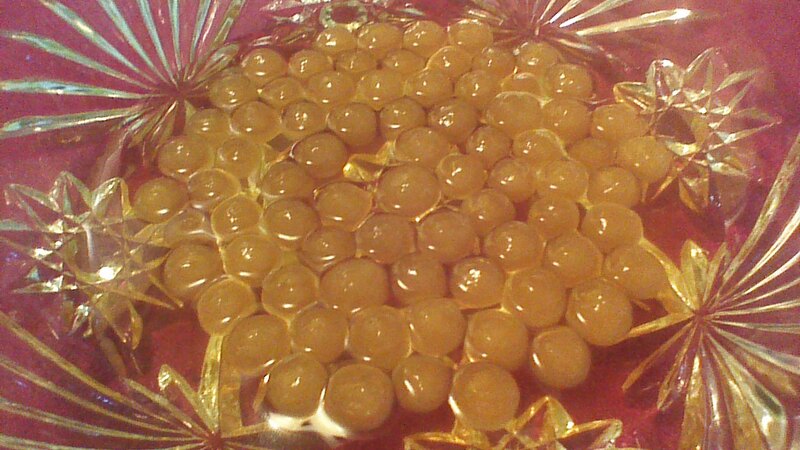 After 5 minutes, tapioca beads should be even larger (like small marbles) and soft. Strain tapioca beads from water and place tapioca beads in a festive glass. Fill glass with chilled, sweetened tea and enjoy! This entry was posted in Beverages and tagged beverages, Cooking, Food, Recipes, tea. Bookmark the permalink.